Promote your book. Share what you’re comfortable sharing with potential readers, but please, let’s abolish that terribly ill-fitting word: self-promotion. Within the first couple paragraphs I found myself mumbling “Roth.” And li and behold, there he was at the top of the second section. I think, however, you underestimate how and when he most effectively fused the two traditions. In both The Human Stain and American Pastoral, most of the story that Zimmerman narrates is about events he hasn’t seen or even heard about. The Swedes trips into the underground to find his daughter and her return at the end are not “real” events. They are closer to Marquez’s history of the Buendias than a so called realist novel. By putting fantasy in the center of a realist novel without remarking the boundaries he fused both influences together. 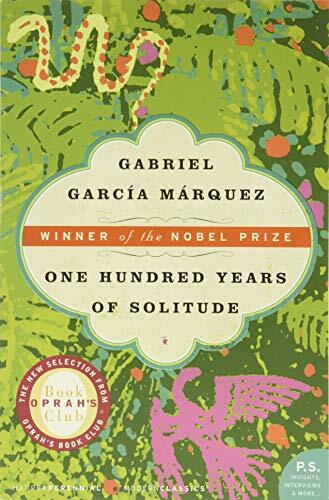 I cannot understand the discussion regarding “post- Garcia Marquez” writers. Diaz and Franzen, I think, have no intention of writing prose that would have the same effect on the reader as DiLullo and Gibson. That whole paragraph seems like you’re just spinning your wheels. Absurdistan, to my mind, is the best thing Shteyngart has written to date. “Soft sentimentality”- really? I thought it was pretty powerful and rather savage satire. “shallow wisdom”- that’s from Walter Benjamin. Shallow? Really? Jack Walter – I suppose what I meant was that Diaz and Franzen want an effect of post-modernism, but not THE effect of it, which is embodied by Gibson and DeLillo. C.V. – thank you so much for reading. I meant more – shallowly repeated, repeated without thought and with satisfaction, than that it’s shallow wisdom. You’re right. On Absurdistan I would disagree, though. I thought the satire was pretty clawless, the emotions pretty saccharine. Absurdistan is a terrible book, not so much “satire” as “ripped from the headlines except 6% absurder and the company names have been changed into unfunny amalgams of current companies”. CV is right, though, it probably is the best thing Shteyngart has written to date. By the way, Charles, I should also say I enjoyed the piece a great deal. I have been thinking about re-reading 100 Years for awhile. I think I reAd three or four times in six months in college, and never since. I was always worried that it wouldn’t have the impact again. I think I’ll go ahead and risk it. Ah, yes! It is that time of year again! Time to start the gnashing of the teeth, in that Philip Roth has not been awarded the Nobel Prize! (I know, this was basically a throw away line in the essay, but it is a complaint that I find rather irritating.) My response being, so what? Is he not famous and rich enough? Several of his novels have been made into movies. He’s not been laboring in obscurity so many other writers. I’m also wondering about some of the other American writers–you just don’t hear this sort of clamor for Cormac McCarthy or Joyce Carol Oates, for example. Or someone who IS more obscure, such as Stephen Dixon. American culture is already so dominant in the world, as anyone who has travelled abroad should know. Think about it. If you look back at the list of winners how many of them really are still read today? Many seem to have faded into obscurity. At the same time, there have been many fine writers who were deserving and not recognized, and very much still read today–Tolstoy, Henry James, Edith Wharton, Kafka, Proust, Ibsen, Nabokov, Borges, Cortazar, Virginia Woolf, Calvino and on and on. If Roth wins this year, where is all that fine resentment going to go? It really is time to let this go. It sounds so petulant. To be fair, a lot of “mainstream” or “literary” fiction here in American IS insular. Too focused on navel-gazing banalities with some heavy handed talk thrown in about some timely issues plaguing the uninteresting lives of people typically too affluent and sheltered to have their finger on the pulse of matters of real concern. Not that there aren’t a number of Americans who deserve a Nobel. Writers like Ursula K Le Guin and Gene Wolfe are great writers whose massive bodies of work grapple with profound ideas and issues in ways that make them unique unto themselves and absolutely deserve being awarded as One-Of-The-World’s-Greats, but, alas, they write science fiction and fantasy–never mind their fiction is far more prescient and pushes far more boundaries than most contemporary Literature-With-A-Capital-L–so they aren’t “serious” writers. Pynchon and McCarthy are worthy too, and for Brit ex-pats, I’d say Alan Moore (is he here now?) and Neil Gaiman are also worthy…not that the Nobel committee would ever consider them. As the essay pointed out, though, many of the world’s greatest, most daring writers went unawarded–Gaddis, the most prophetic American novelist of the 20th Century, lived his life in relative obscurity even HERE, not to mention the Nobels essentially ignoring post-modernism–so I’ve learned to not expect much of anything from such “honors”. ….yes, Gaddis won two NBAs, but even my English professors hadn’t heard of him. Michael Travis, I agree with you that the Nobel’s ultimately pretty uncertain as a measure of greatness (and at this point so politicized), and I have no strong feeling that Americans deserve it – BUT, Roth deserves it in my opinion, and his activities in the 70’s and 80’s put the lie to the committee’s idea that American authors are too inward. CCV, what do you think of Le Clezio as a postmodernist winner? I agree that they should be open to people who do “genre” work. I know John Sutherland argued that Elmore Leonard should have won it. What on earth is faux-mo fiction? Dare I even ask? Good article overall. I, myself, have a penchant for Magical Realism and its current trend as manifested in writers like Aimee Bender, Kelly Link, Karen Russell, Brian Evenson, and George Saunders. It is intriguing to read about their literary forebears. I recently bought A Hundred Years of Solitude from the city of Faulkner. I’ve read Love in the Time of Cholera, so I already am indebted to Marquez for his influence on my own artistry, thinking, and prose. The other book awaits me on the shelves. Judy, wasn’t aware of that meaning! I just kind of made the word up for this piece. Márquez didn’t solve anything. His popularity and influence can be attributed to marketing much more than some singularly unique literary achievement. Bulgakov was combining a relatively straightforward narrative with talking cats and witches and other magical flourishes decades before Gabo, and Vonnegut was writing highly readable yet often fantastical fiction throughout the years to which you refer here. You want to talk funny names? Try Kilgore Trout. Granted, Bulgakov may not have the same level of popularity, and Vonnegut may not have the same level of influence (at least among the highest brow halls of lit critics) but it’s not as if either are especially obscure. Certainly the Franzen/Wallace/Eisenberg/Tartt/Saunders/Chabon generation would be familiar with both of them, and I don’t think you’ve really made a convincing argument that Márquez did something so radically different we could only attribute the confluence of styles we see in this generation to their reading of his work specifically. Again, the key thing to understand about Márquez is that he has been very very well marketed (to the point where many Colombians I’ve met tire of how he stands in for their entire corpus of literature). You’re conflating how he’s been marketed with his actual achievements in the world of letters. And I say this having quite enjoyed a couple of books by Márquez…certainly enough that I know that the ‘a’ in his name has an accent on it. What distinguishes Marquez for me (and I’m open-minded about it) is the blend of a) being determinedly literary (Vonnegut was influenced by sci-fi, for instance) and b) his popularity, which may well be partly attributable to marketing – or accessibility. Regardless, that’s why his book was a cultural watershed, and not merely a literary influence. What is memory, if not a bundle of errors, a poem covered with edits?